I was really happy to be asked to take a look at a new app for iPhone (an Android version is coming soon) which immediately sounded like a Very Good Idea. 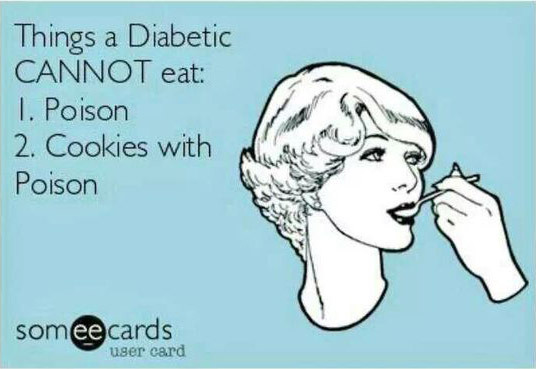 More and more these days we are reminded that heavily processed foods, while convenient, are generally poor food choices. Even without the revelations regarding the 'so hungry I could eat a horse' frozen-microwaveable-lasagne-for-one fiasco, most of us realise that food genuinely tastes better and is much better for us when it isn't jam-packed full of chemicals from the darkest corners of the periodic table in order to give it a half-life on the shelves, or permit a 'low fat' (don't get me started) label on the front. Real food, made from real ingredients. Lovely. 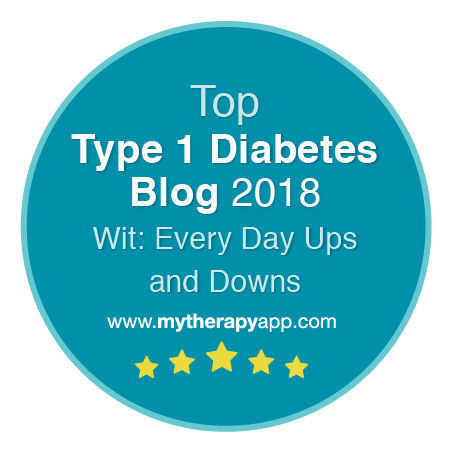 For those of us juggling busy lives and diabetes though there is the added complication that those nasty chemical-laden packaged foods tend to come with a very handy grid of information providing the all important carb count. Cooking from scratch is great, but trying to get an even vaguely accurate carb-count for what ends up on the plate can be a bit of a bind. Well not any more! I have fallen foul of the promise of carb-lookup functionality a few times before. 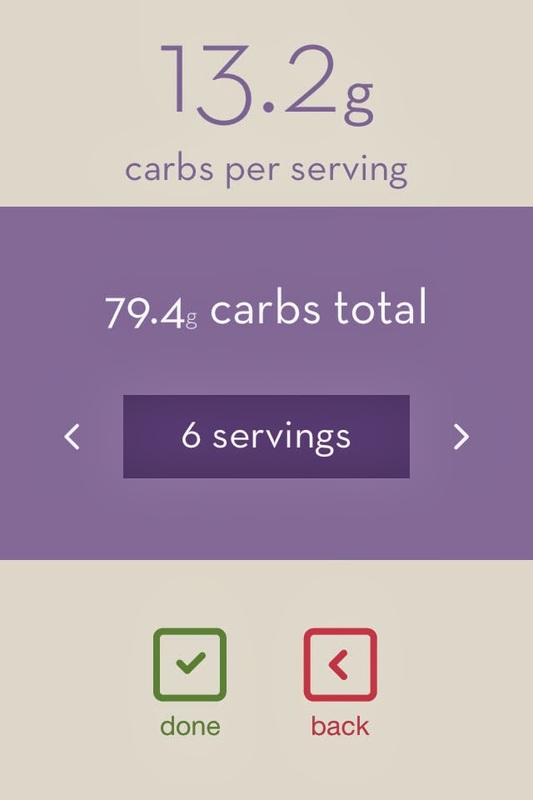 Some apps use lists which are based largely on foods and brands only available in the US, others require an active network-connection to access the data. 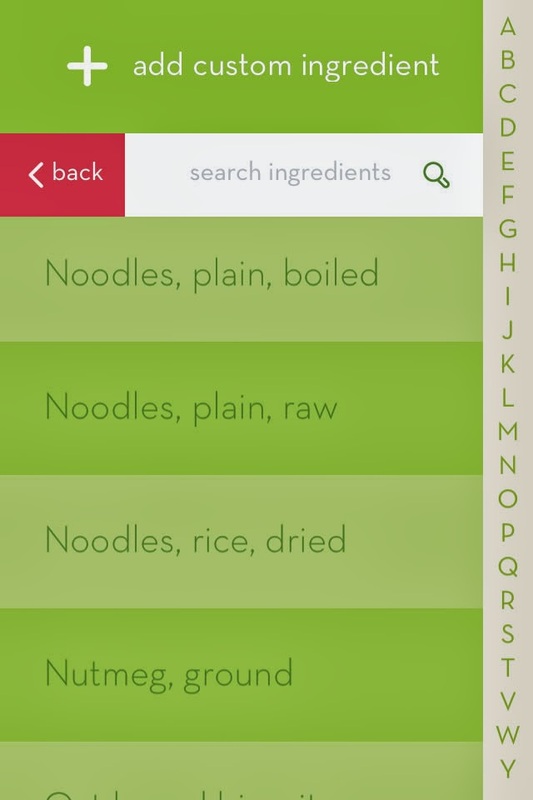 My favourite waste of time so far was an app that allowed you look up a huge range of ingredients but only allowed you to indicate quantity by 'serving'. So you could choose one, two or nine 'servings' of wholemeal pasta and get a carb count, but absolutely nowhere did it specify how much pasta one should cook for an individual 'serving'. Utterly useless. Thankfully C&CC is a lot better thought-through than that. There is a pretty comprehensive list of ready-made choices for both raw and cooked foods, all available by weight (grams or ounces depending on user preference). 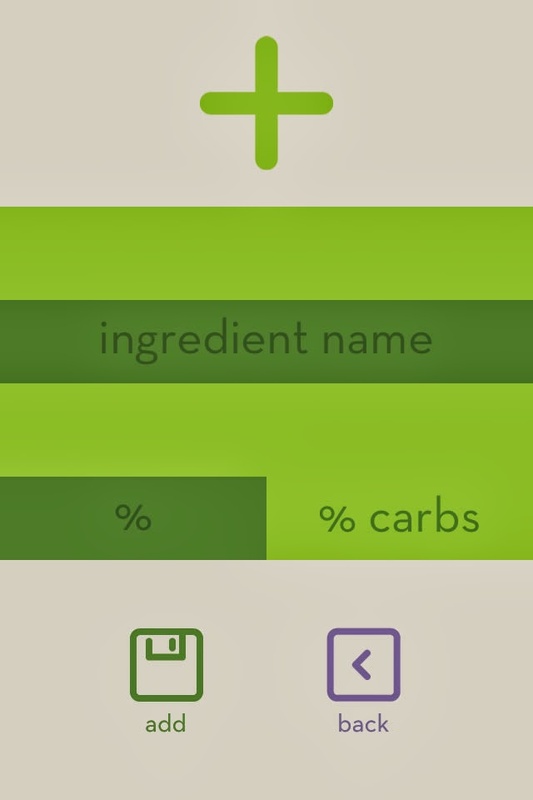 Brilliantly the app also allows you to define your own 'custom' ingredients from the food-labels on the stuff that you actually buy if that turns out to be missing, or significantly different from the predefined list. And you can use it anywhere... fully networked city centre apartment or a farmhouse in the back of beyond. You carry on adding as many ingredients as you want to and then flick to the 'total' screen which allows you to divide the whole recipe into as many servings as you are expecting. This number isn't fixed, so if you decide to divide into more or fewer portions later on, or the next time you prepare the meal, you can easily get an updated count. You then have the option of saving your recipe to refer back to in your 'My recipes' section. You can add a photo of what it should look like and even add detailed notes on how to prepare the recipe if you wish. One slight quirk is that you can only edit a recipe you have previously saved if you have added at least one 'Method' entry. Once you have done that (even if it only says 'Method' ) an edit icon appears below the recipe and you are able to amend and update any quantities, add or remove ingredients and then save a new version if desired. For keen social media types there is also the option of sharing via Twitter. 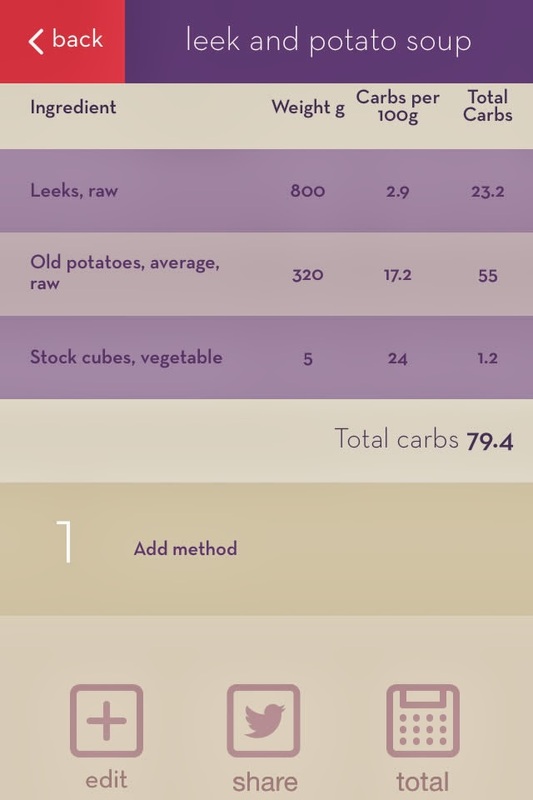 Also inbuilt into the app are a collection of existing recipes from starters, mains and puds to low carb & gluten free, as well as an 'info' page with articles, tips and additional information. The interface is quick and intuitive and I have found it equally handy for a quick 'ready-reckoner' look-up of an individual ingredients as well as calculating more complex and complete meals. 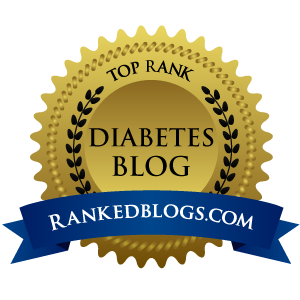 It is hard to imagine how the app could be improved - and that is a very rare thing for me to say. At the current price of £3.99 it is not the cheapest, but if you like the idea of cooking from scratch without the mathematical acrobatics it is well worth considering for the price of a couple of coffees. 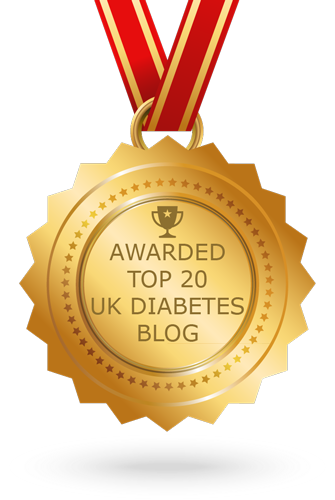 Disclosure: Deborah Wilder and Health Apps Ltd very kindly offered me a free copy of the app for review, which I was allowed to keep. I was not asked or paid to write this post, and only did so because I thought the app was bloomin' marvellous!